This is a new favorite no bake dessert that has been a hit in our household! 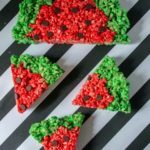 These watermelon rice krispie treats are gooey, sweet, delicious, and so much fun! They are sure to be a huge hit with the kids and they will have a blast making them. Before you do that, click here and follow me on Pinterest! This is such a fun no bake dessert – just in time for summer! It’s gooey and delicious like traditional rice krispie treats, but with a fun summer twist of looking like watermelon! 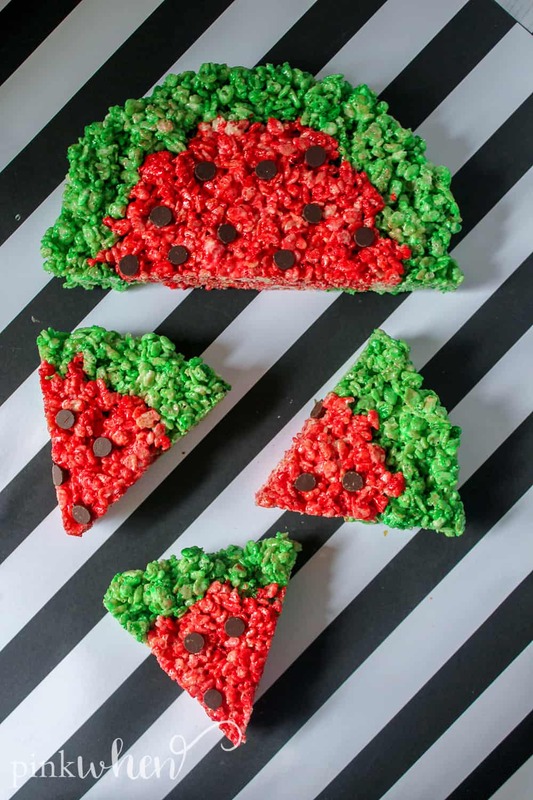 Your tastebuds will leave happy with these watermelon rice krispie treats, while having fun with this no bake dessert perfect for summer. We made these rice krispie treats with the kids and they loved them! Not only were they gooey and sweet, but they got to have so much fun making them looking like pieces of watermelon just in time for summer. I’m happy to say not only were they delicious since we are big rice krispie treat cereal fans in our house, but we couldn’t get over how fun they were for the kids! The best part of these rice krispy treats aside from how fun they are is that they are the ultimate summer treat! 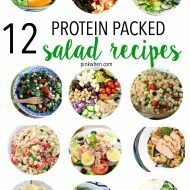 They are great for making in the kitchen on a hot summer day when you don’t want to preheat the oven and the end result is so much fun! 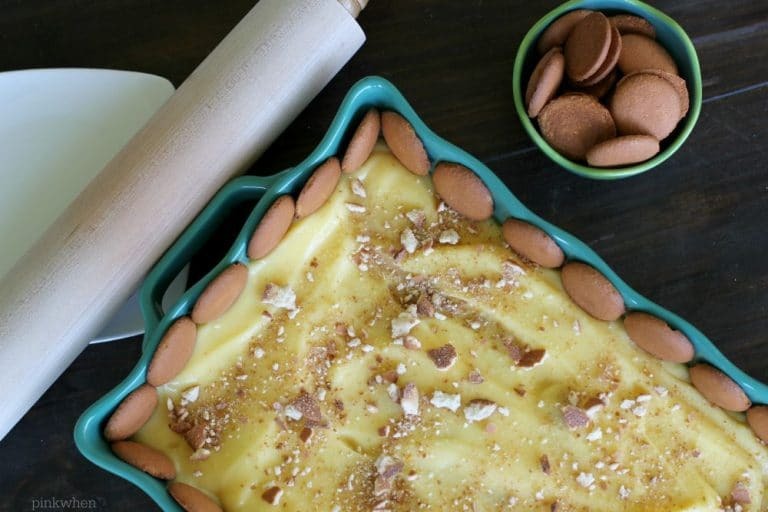 The kids will love getting in the kitchen with you to make this no bake dessert. 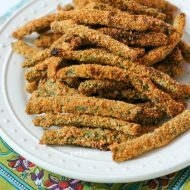 They would make a great treat for a summer party or playdate. You’ll have everyone begging for more of these rice krispy treats and luckily this recipe makes two pans so there’s plenty to go around. 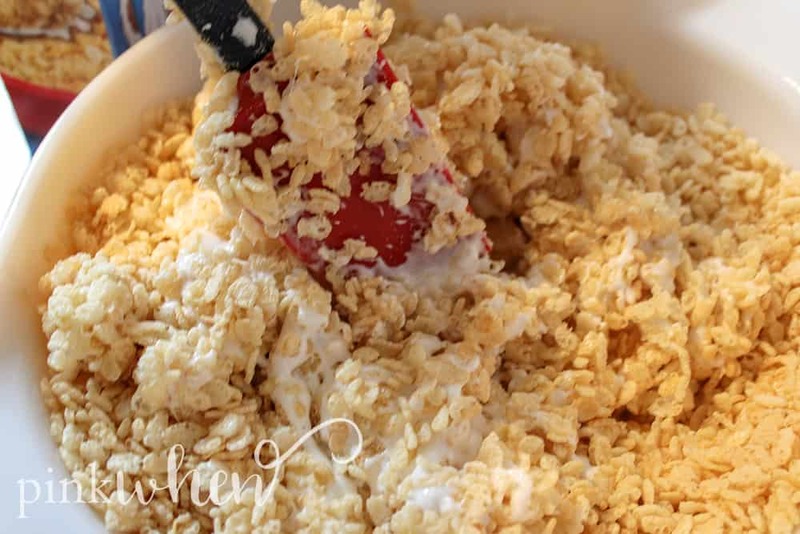 This rice krispy treat cereal recipe is as easy as melting some marshmallows, mixing it with cereal, adding food coloring, and pressing it into a cake pan. You’ll want to scroll down for the full recipe, but it really is that easy! 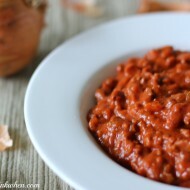 This recipe is perfect for getting kid in the kitchen! 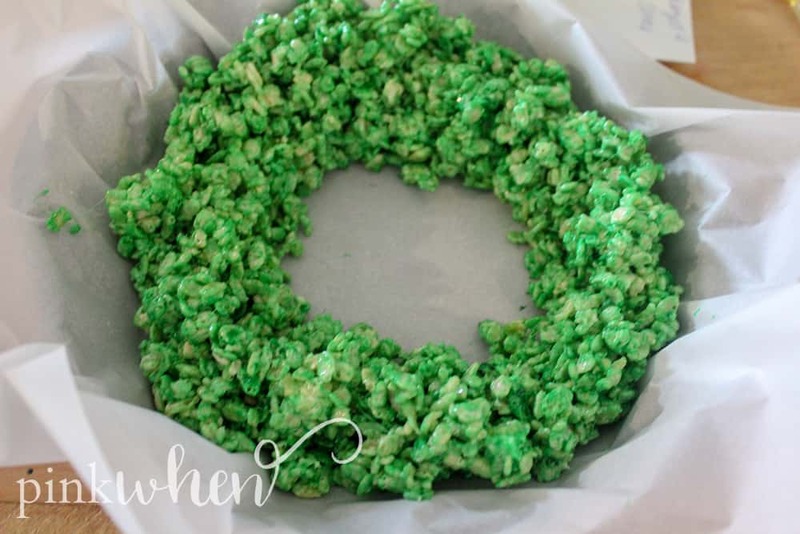 They can stir the marshmallows, add food coloring, or even help press the mixture into the cake pan! It’s a great recipe to get them involved in the entire process. It will be so much fun for them and you too! The hardest part will be waiting for these to set before you can cut into them and enjoy the sweet gooey taste! But it’s very important since they’ll be hot and a little too gooey to eat when you first make them. Allowing time to set gives them time to harden up like your traditional rice krispie treats! I know you are absolutely dying to get to this rice krispy treats recipe, so I won’t keep you waiting. I know you’ll love making this fun no bake dessert! The kids are sure to love them too just in time for summer. 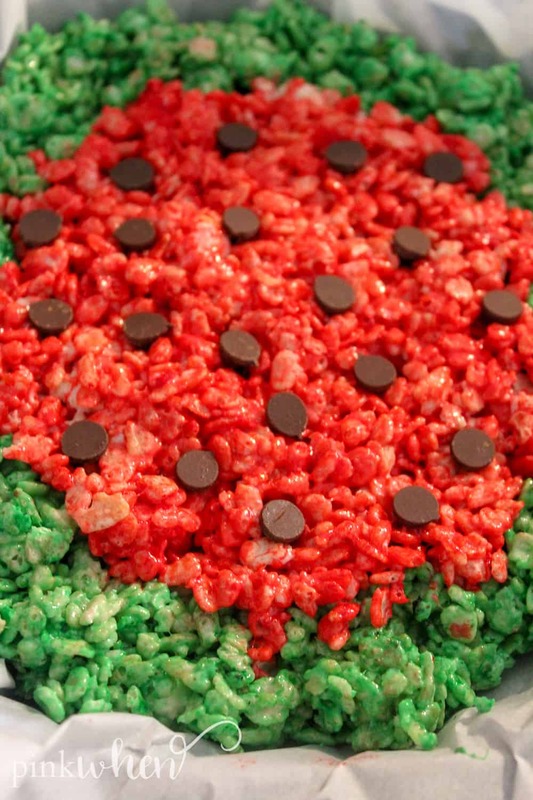 Enjoy this fun and summery watermelon rice krispie treats recipe! Be sure to let me know how your no bake dessert turned out – I love seeing them! You might also like these Patriotic Pretzel Bites. Leave a comment below and let me know if you made this! We love your feedback, as it helps us decide what to create next. If you want to see more recipes like this, make sure to RATE this recipe! A perfect summer treat! 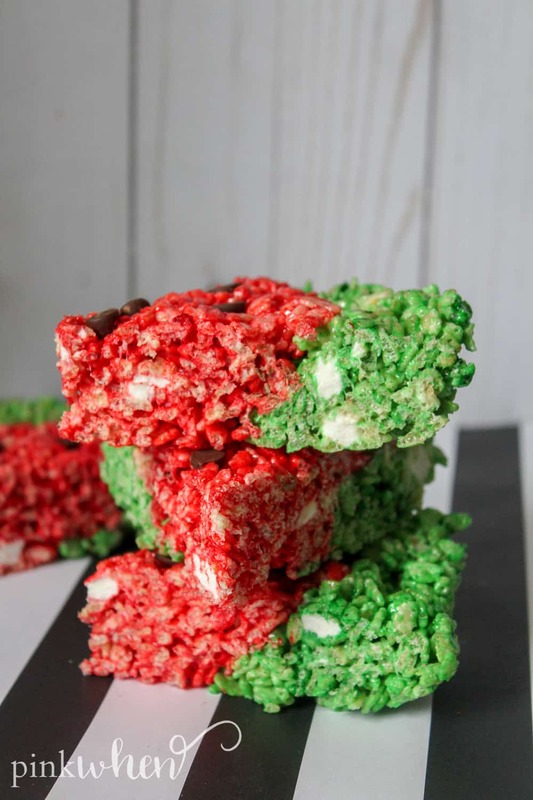 Watermelon Rice Krispie treats. Line 2 round cake pans with parchment paper. In a saucepan, melt the butter. Add miniature marshmallows, leaving out 1 cup. Stir until marshmallows are melted. Add vanilla and mix well. In a large mixing bowl, mix together the melted marshmallow mix and rice krispy cereal. Stir in the last cup of marshmallows and mix well. Divide the krispy mixtures into 2 separate mixing bowls. Tint one with green food coloring and the other with red food coloring. Starting with the green rice krispy mixture, layer it around the outside of the cake pan from earlier. This will act as the rind of the watermelon. Fill in the center with the red rice krispy mixture. Press lightly into the pan to form the watermelon together. Gently press chocolate chips into the the red rice krispy mixture. These will act as your watermelon seeds. Repeat steps 5-7 using your other cake pan from earlier. Let these sit for about an hour to fully set. Enjoy! 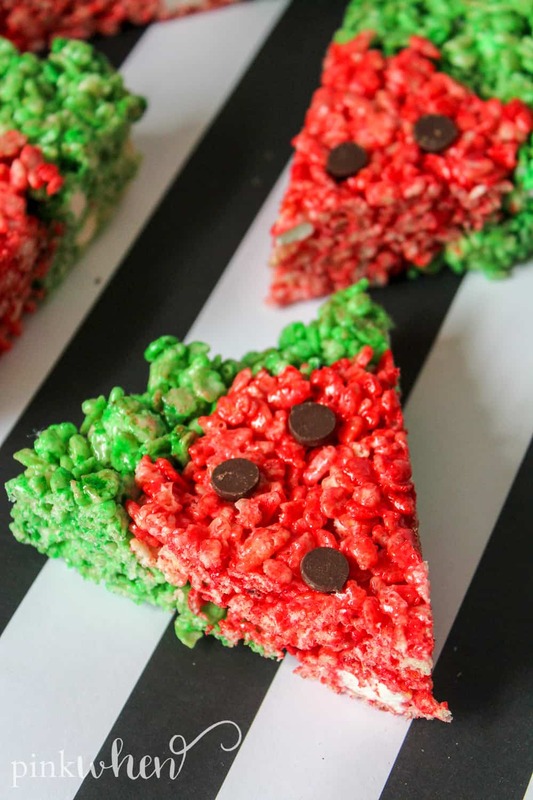 Love these watermelon rice krispie treats as much as we did? 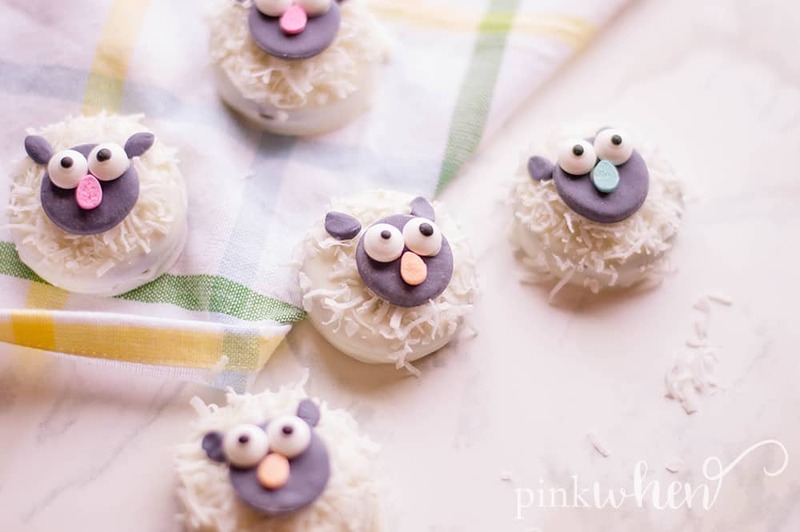 Try some of our other favorite no bake dessert recipes, like these Sweet Lamb OREO Cookies! Or maybe this sweet delicious No Bake Banana Pudding Cake!